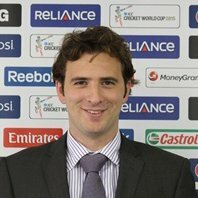 Nick Hansen was working as a corporate solicitor in a top tier firm three years ago when he came across an opportunity he couldn’t refuse – a chance to work for the ICC Cricket World Cup. “I was at Minter Ellison Rudd Watts three years ago, and I wasn’t looking for a change, but someone flicked the Seek ad across my desk, because they thought I would probably be interested – and I was,” he told NZLawyer. As senior legal counsel for the event, Hansen got involved “with the entire business”. Based in Wellington, Hansen was part of a Melbourne-headquartered team that also included his superior and another senior legal counsel, with additional support during busy periods. 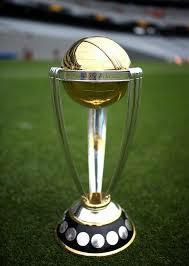 “We got through lots of contracting with the venues, host cities and all of the Tournament suppliers. In New Zealand that involved the likes of Ticketek, Air New Zealand, Mainfreight, Spark Digital and a whole range of caterers, hotels and local providers - there was a lot of procurement,” he said. Another area the team put a lot of time and effort into was around health and safety. Hansen’s role also involved managing the commercial rights protection program - working with the Ministry of Business, the Councils and the Police to put in place a program to protect the ICC’s - and their commercial partner’s - commercial rights. A few weeks ago, Hansen returned to Minter Ellison Rudd Watts as a senior solicitor in the corporate practice. “It was kind of a process of the right people knowing I was finishing, and knowing what I was looking to do. I knew who to talk to. “I had conversations with a few other firms, and I was open to trying somewhere new; but nothing convinced me that there was a better place for me right now. But, he’s keeping fingers in the sports law pie, and is currently involved with Australia New Zealand Sports Law Association and speaking at a New Zealand Symposium on Friday, as well as chairing the organising committee for next year’s annual conference in Wellington.